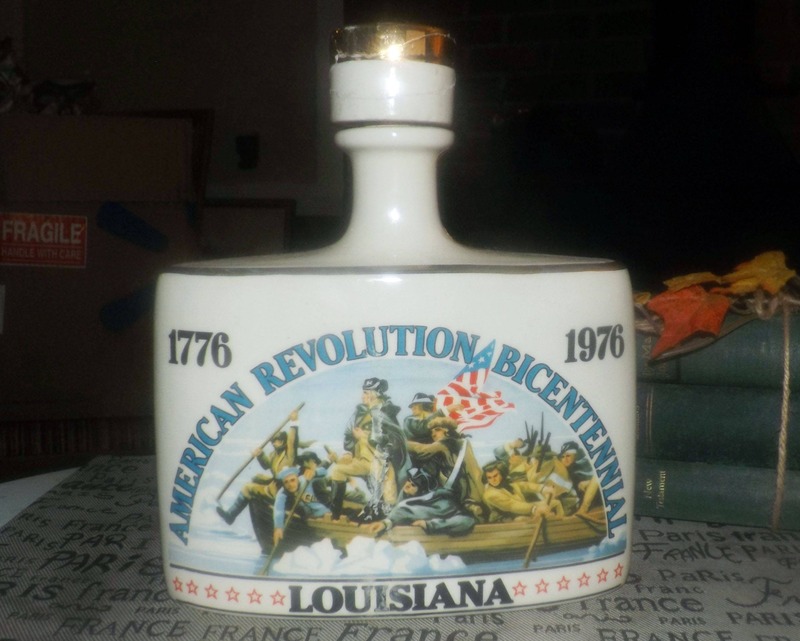 Vintage (1976) Early Times Distillery | Brown Forman American Revolution ceramic bourbon decanter (empty) repping the state of Louisiana. 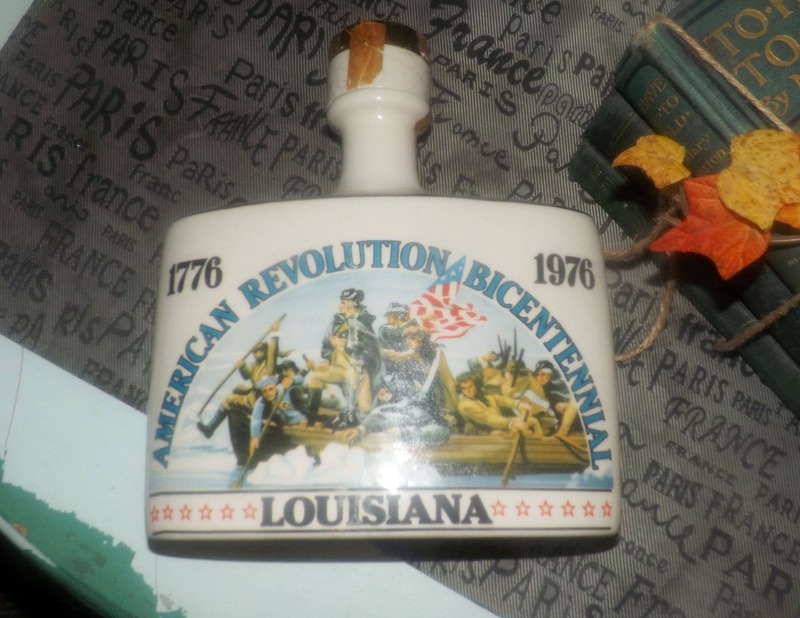 Vintage (1976) Early Times Distillery | Brown Forman American Revolution ceramic bourbon decanter | bottle (empty) representing the state of Louisiana. 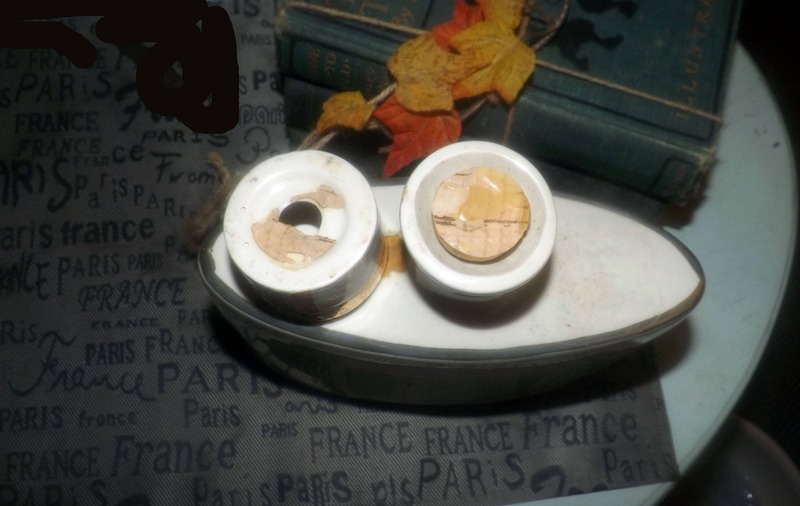 In VERY GOOD! 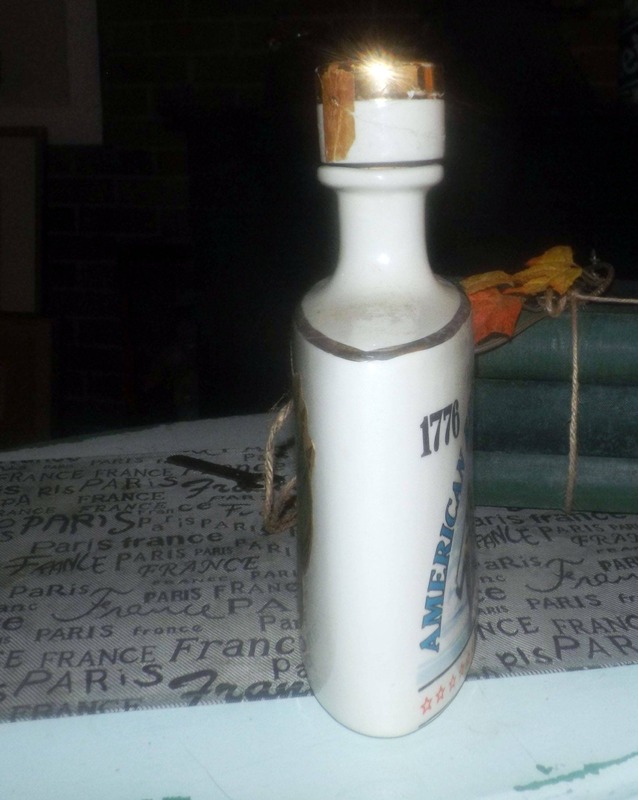 condition, the cork has broken between the ceramic cap and the bottle with part of this original cork still in the neck of the decanter. 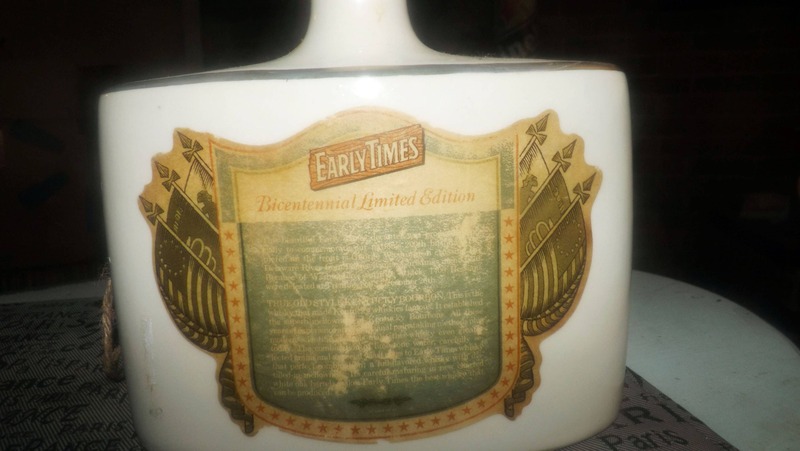 The decanter has NO! 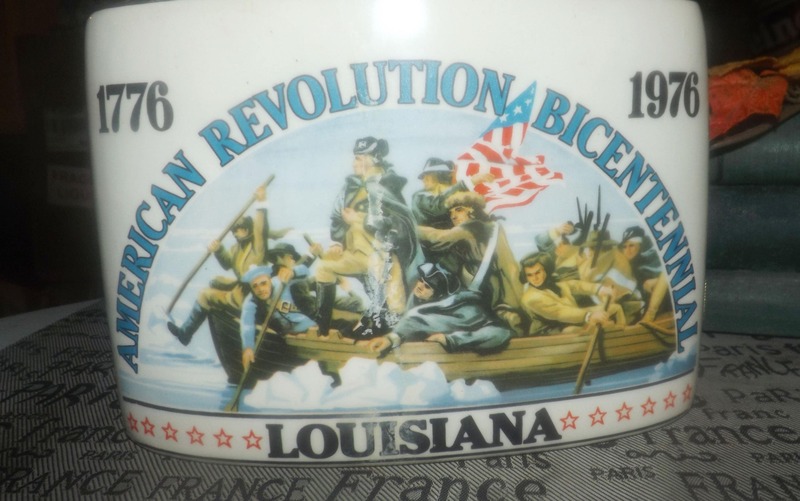 chips, nicks or cracks and all of the wording and imagery, etched into the ceramic, is bright and vivid with NO! fading apparent but there are a few LIGHT! 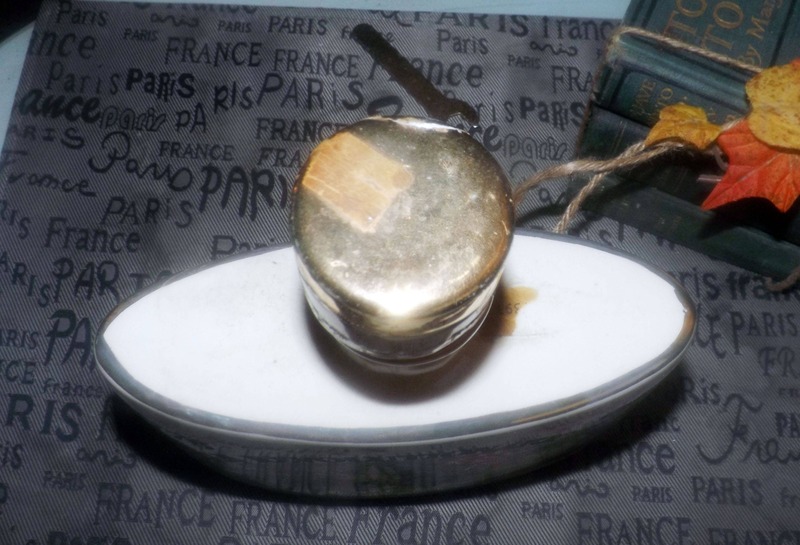 scratches and a spot of wear to the imagery. 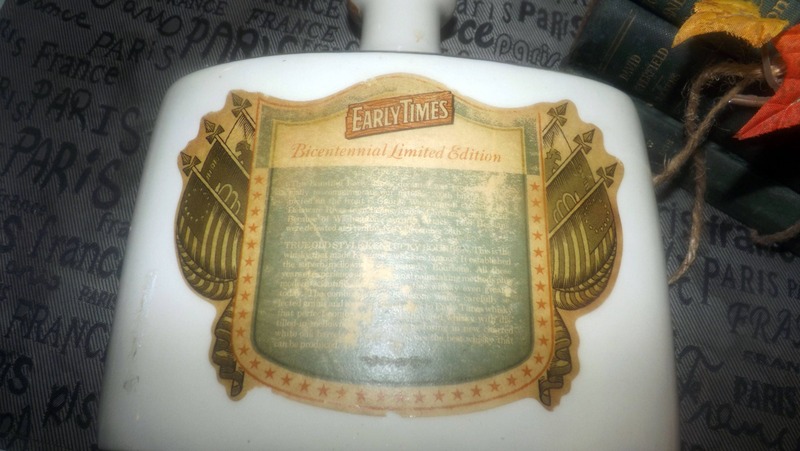 There is an original label affixed to the reverse of the decanter offering a brief history of the Early Times Distillery and there is noted fading to this labeling (please review each of the posted photos for a complete visual of the item). 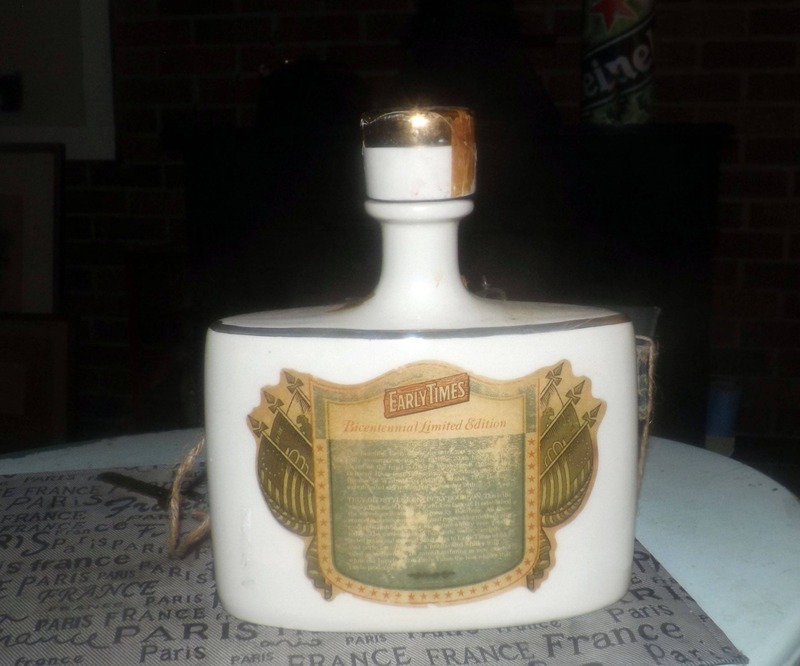 Great vintage decor for your home bar area and a great man gift! 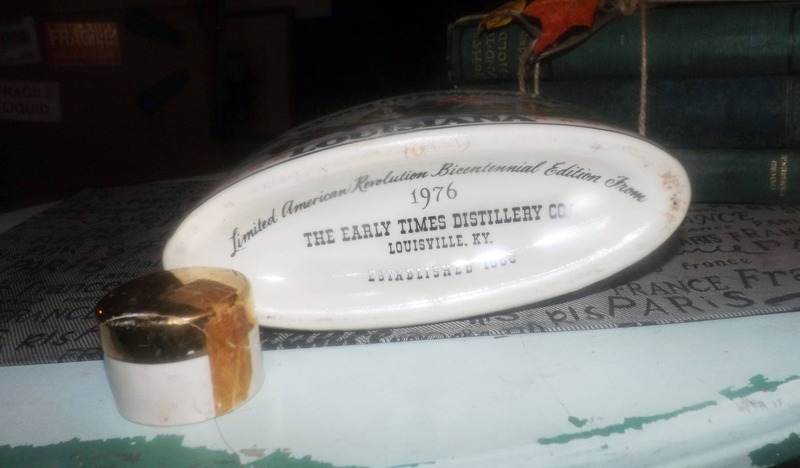 Approximate measurements: stands 9" (base to top of lid) x 7-1/2" across (at the widest part in the middle) with a depth of 2"